Jamo Studio series S 809 Floorstanding Speakers - The S 809 is Jamo's Flagship Dolby Atmos tower speaker. Three impressive 127mm (5-inch) Aluminized Polyfiber Woofers and a 25mm (1-inch) Soft Dome Tweeter deliver an amazing acoustic performance. Each speaker includes a patent-pending connection points atop the cabinet for seamless integration of the S 8 ATM topper to deliver the overhead effect of Dolby Atmos. Jamo Studio series S 83 Center Speaker - Designed to deliver incredible acoustics for larger rooms, the S 83 CEN is engineered for clear, balanced dialogue reproduction, making it an ideal center channel for a premium surround sound system. Leveraging WaveGuide acoustic technology, frequencies in the vocal range are sent directly to the listening area for lifelike sound. 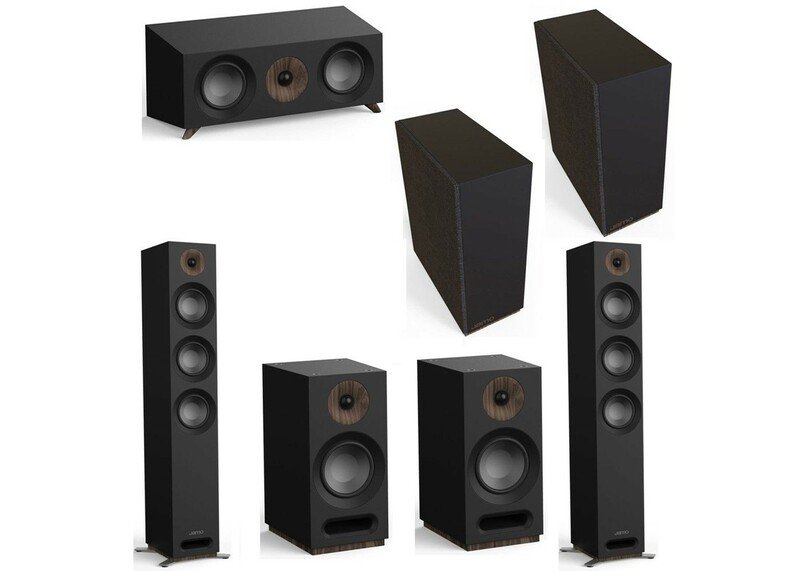 Jamo Studio series S 803 Bookshelf Speakers - Unlike any bookshelf speaker, the S 803 Dolby Atmos ready speaker delivers incredible stereo sound with a patent-pending connection points atop the cabinet for seamless integration of the S 8 ATM topper to deliver the overhead effect of Dolby Atmos.